Some quick thumbnails of news and events. The Minnesota Annual Conference of the United Methodist Church (UMC) is in the early stages of returning In-Yan Sa (the sacred Red Rock) to the Dakota people, according to an article the UMC published online. The UMC says this is part of a larger effort of healing, building relationships with indigenous peoples, and leading the rest of Minnesota along this important journey. 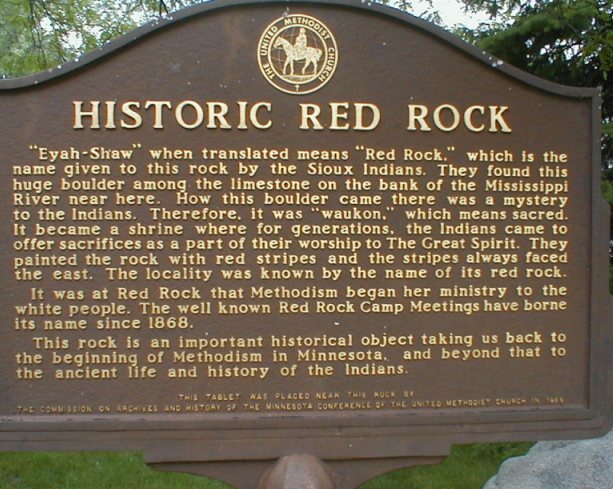 The United Methodist Church (UMC) is moving forward with efforts to return the Dakota peoples’ sacred Red Rock, (in Dakota, In-Ya Sha or also spelled Eyah Shaw). It is one small step towards acknowledging the historical trauma and genocide inflicted on Native peoples by the U.S colonial enterprise, one in which the UMC participated. Early Methodist ministers settled in the area along the Mississippi River near In-Ya Sha. When the Dakota people were exiled after the War of 1862, the Methodists continued preaching there. The rock evolved into a symbol for Methodist church camp. The Red Rock camp name persists today, but the rock itself sits in front of the Newport UMC. Conversations have percolated for several years about returning In-Ya Sha. 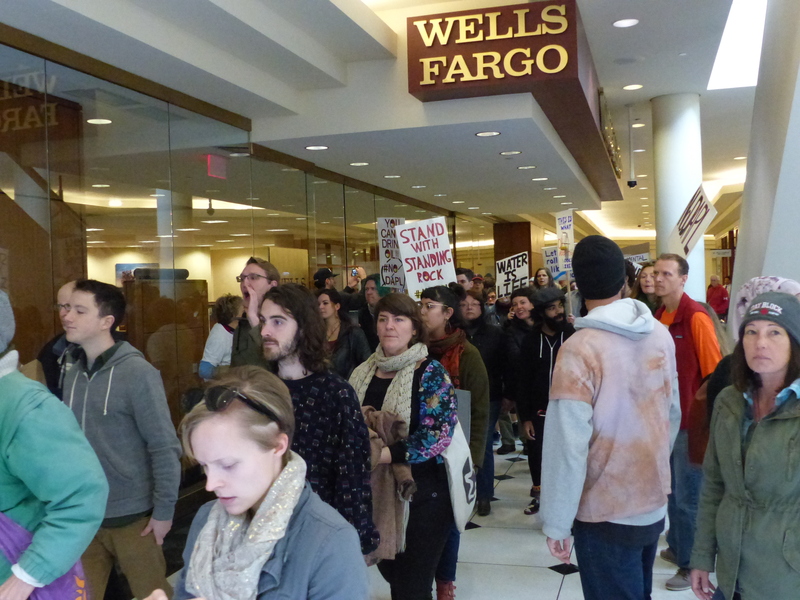 This March, Dakota elders made a formal request, asking the UMC to return it. In response, UMC Bishop Bruce Ough promised the church would do so. Sign next to Eyah Shaw in front of Newport United Methodist Church. But details needed to be worked out. In the latest update, Newport UMC congregational leaders voted in July to honor the Dakota elders’ request, according to a Star Tribune story. The Dakota people “can and will determine the future location and care of the Red Rock,” the resolution said. Before settlers arrived, Eyah Shaw was on the east bank of the Mississippi River several miles south of what is now St. Paul. Filmmaker and researcher Sheldon Wolfchild (Dakota) says Eyah Shaw is a sacred relative to Dakota people and deeply connected to their creation story. Dakota people traditionally would paint the boulder-sized rock with red stripes. Early settlers saw the boulder as a significant landmark and began referring to the area simply as Red Rock. Red Rock’s early missionaries were Methodists. In the 1860s they purchased several acres of land to create a camp meeting; the religious gathering became synonymous with the Red Rock. While the camp — and the rock — have moved since that time, the name stuck. Red Rock Camp still exists today near Paynesville. The rock itself now resides outside the Newport UMC, with local historic designation. For Christian churches wrestling with racial justice issues, including the churches leading role in the assimilation and genocide of Native Americans, check out the website Lenten Lamentations: Preparing to Participate in God’s Mosaic Kingdom. The first two lenten services lament America’s twin original sins: Native American genocide and slavery. Hopefully these prayers, scripture readings, and historic reflections give leaders in Christian communities ideas for future services. The service for the first day of Lent (March 1 this year) focused on lamenting the Doctrine of Discovery, the legal and religious justification used by European explorers to take indigenous lands and enslave indigenous peoples. (It is based on a series of Papal edicts, and continues today in U.S. law.) In fact, March 1 this year coincided with the day after the anniversary of landmark U.S. Supreme Court case McIntosh v. Johnson (1823), which made the Doctrine of Discovery a part of U.S. law. Lord God, during this Lenten season, teach us to come before you in humility, lamenting the signs that your kingdom has not yet come in its fullness. Help us to acknowledge our finitude and failings, and guide us into a journey of remembering rightly, repenting honestly, and responding faithfully. We long for the coming of your mosaic kingdom in Jesus Christ, our Lord, and invite your Holy Spirit to lead us now. The Day 2 of Lent service laments the slave trade.